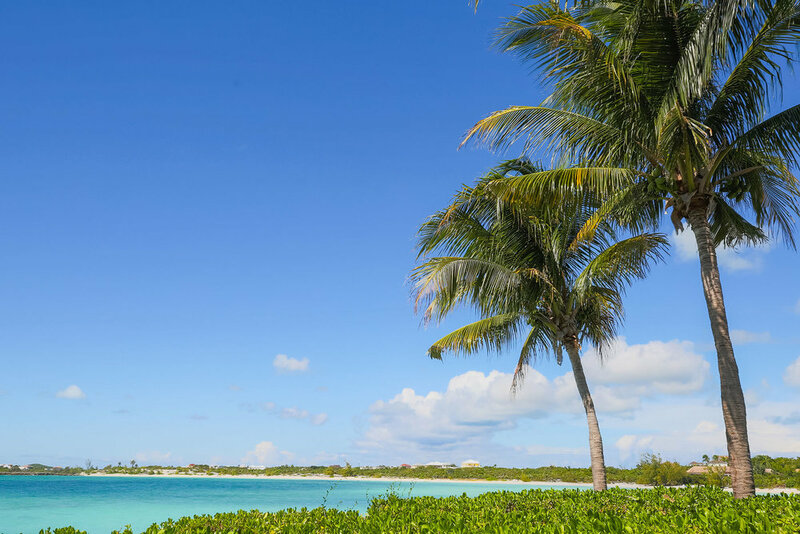 Great attention to detail has been paid to enhance your stay, from fresh white cotton linens to beautiful bath products, from cool waffle bathrobes to colorful beach towels. 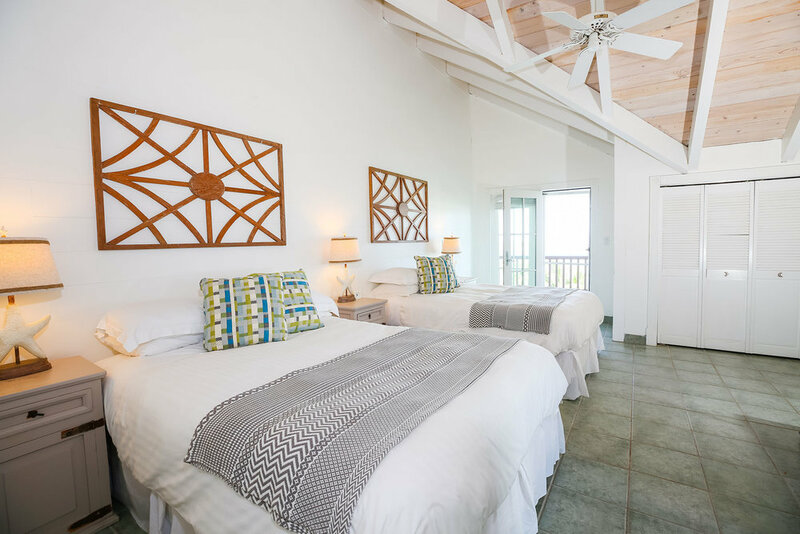 Villa Vieux Caribe is proud to provide an comfortable stay for every guest. The villa provides a number of hideaway areas for sunbathing. 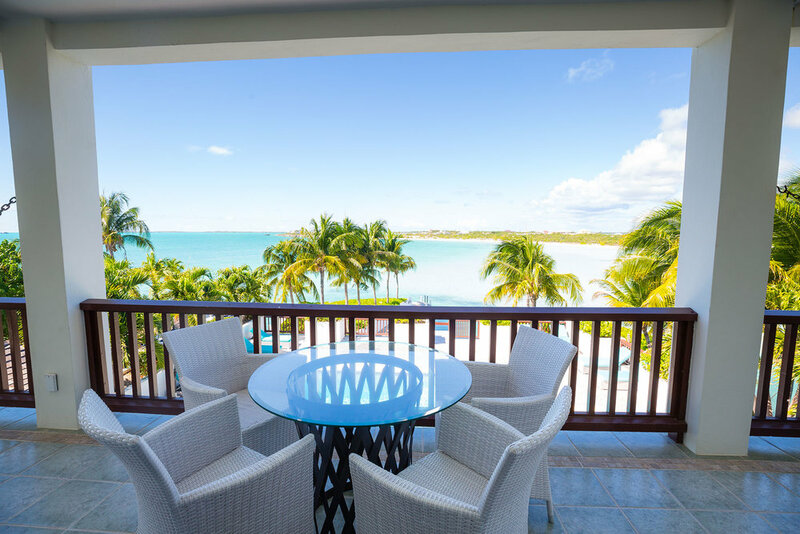 Apart from the pool terrace, another deck area overlooks the beach and makes for a perfect spot to enjoy pre-dinner drinks as guests take in the stunning sunset. To escape to solitude each guest suite benefits from a private balcony, some with hammocks to snooze and daydream. The main house which accommodates up to 10 adults includes a well-equipped kitchen that opens out onto a dining area and spacious sitting room. 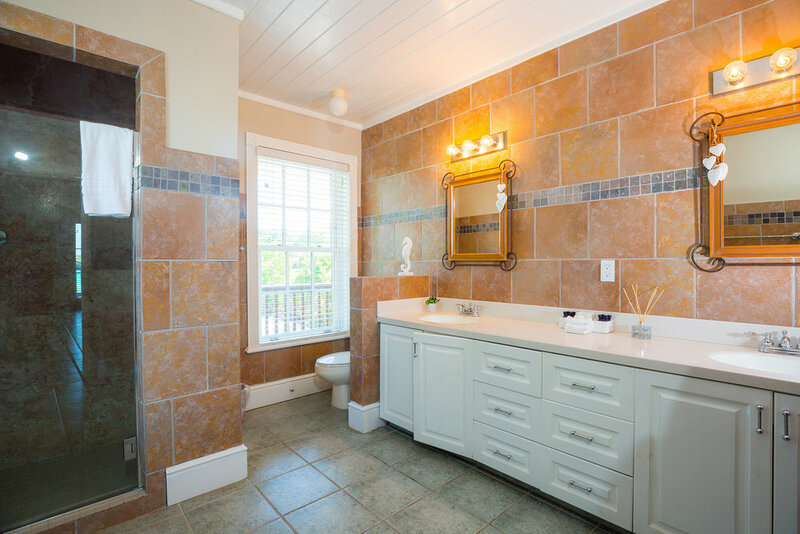 All five master bedrooms have large en-suite showers. Each suite also features a television and music center. 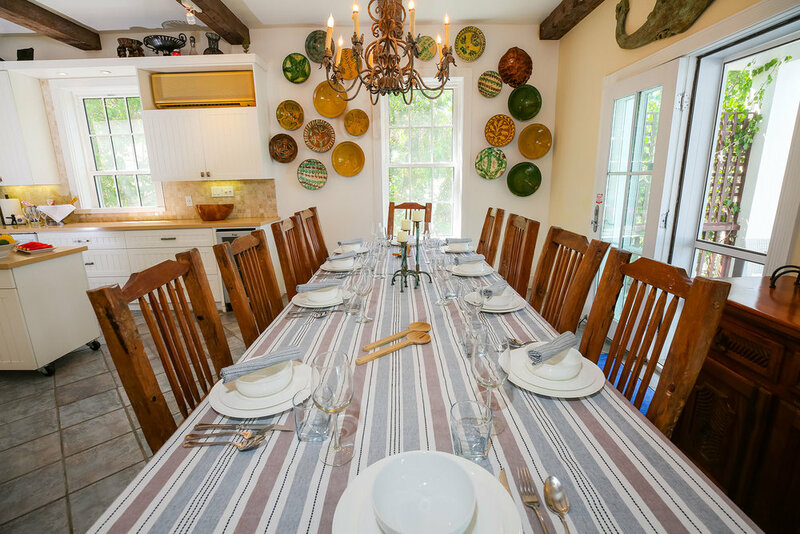 Two luxurious guest rooms are available in addition to the main house to accommodate parties of up to 14 adults. 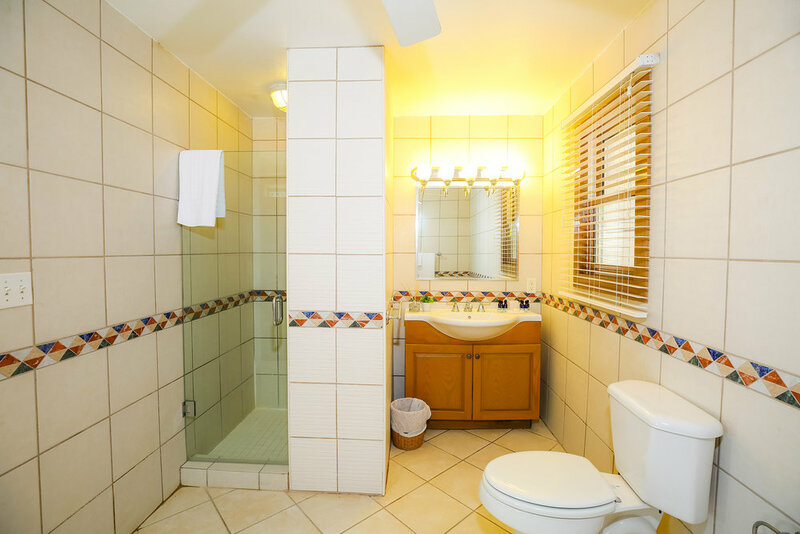 This two-bedroom suite on the lower level is accessible by a private entrance with a ramp that leads to the water. A small sitting area with a mini kitchen equipped with a microwave, refrigerator, kettle, toaster and coffee maker separates the two suites. 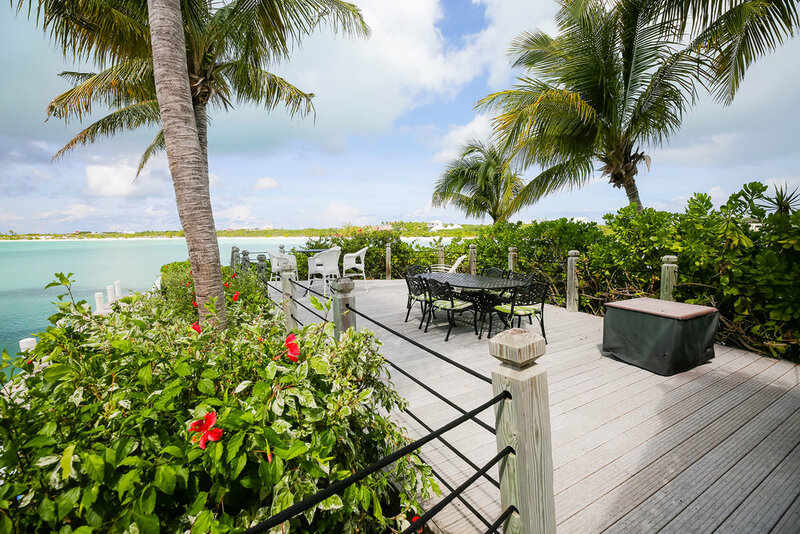 A large deck area opens out from the suites affording ocean views. One of the bedrooms features discrete enhancements for guests who are less able-bodied. 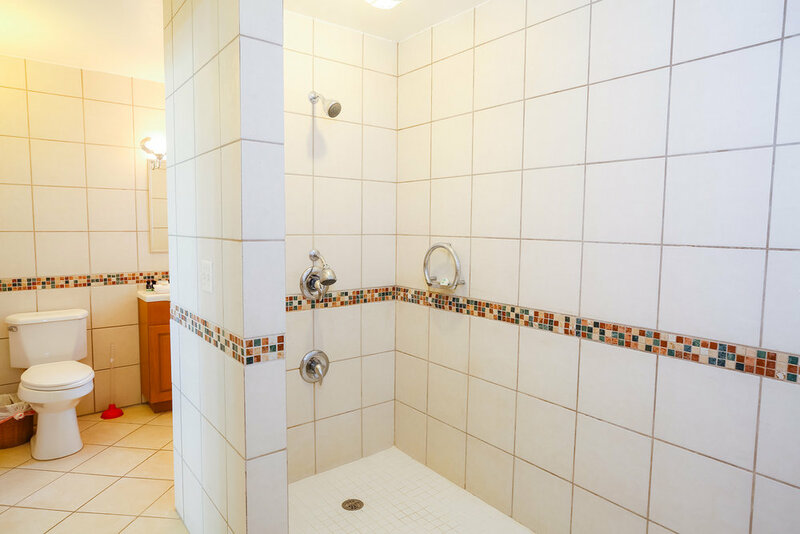 The large walk-in shower is wheel-chair accessible. The pool terrace has a plentiful supply of sun loungers and provides al fresco dining with a large gourmet BBQ and wet bar. Steps lead down to the lower deck and dock area. 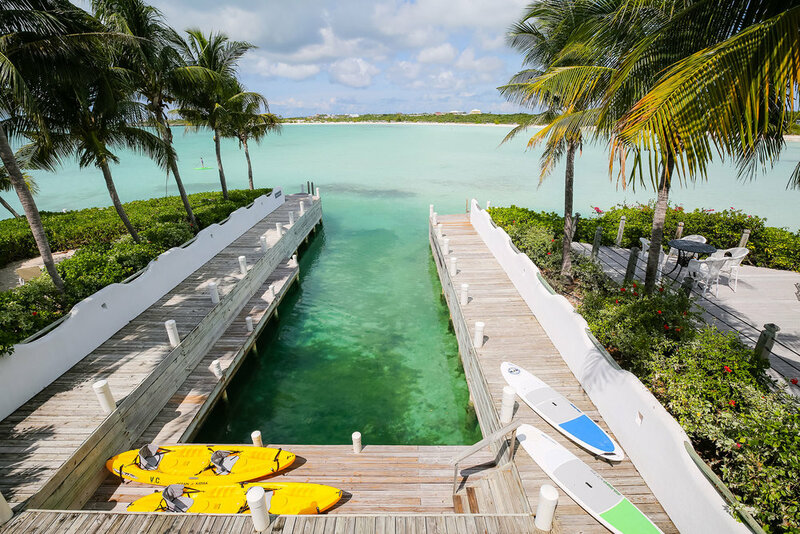 Two private docks provide access to the water. The villa is just short swim to the shores and fine sands of Taylor Bay. 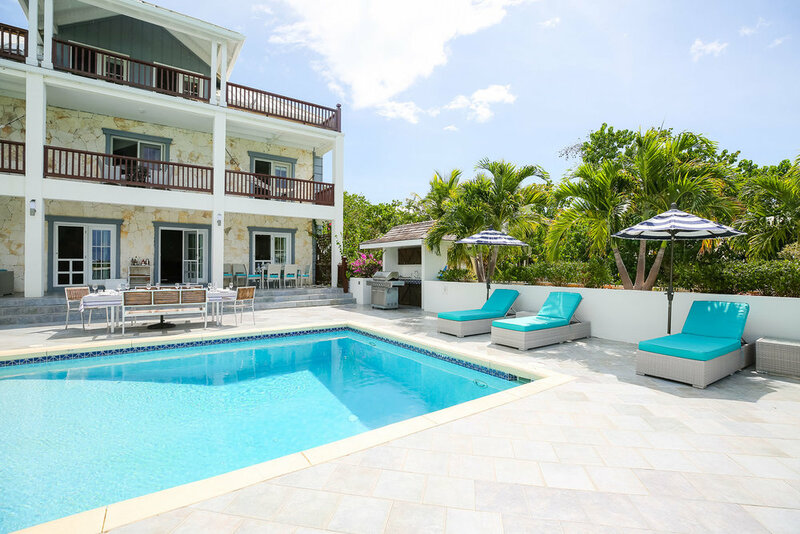 Villa Vieux Caribe is also available for weddings and other group celebrations upon request. Thank you for getting in touch. We’ll get back to you soon!